Is available to read here! 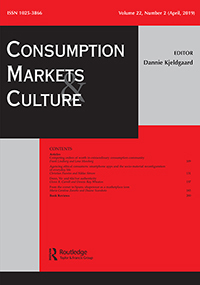 The paper studies how local contexts contribute to the emergence of markets. In particular, it explains how potential entrepreneurs are motivated to become active in establishing new markets. Empirically, the focus is on contemporary art markets in two emerging countries: India and Russia. The paper draws upon qualitative interviews with 65 contemporary art dealers conducted in New Delhi, Mumbai, Moscow and Saint Petersburg. We show how different socio-cultural contexts function as activation mechanisms: in India, family backgrounds predominantly structure the decision-making processes, among others through the economic, social and cultural capital which these families provide. In Russia, by contrast, such family background is non-existent. Instead, the socio-economic turmoil of 1990s and 2000s as well as the strong involvement of the state function as activation mechanisms. We suggest that these different activation mechanisms contribute to explaining the diverging market performance in both countries.